The F-35 Lighting II is the intended fighter plane of the USAF for the next few decades. 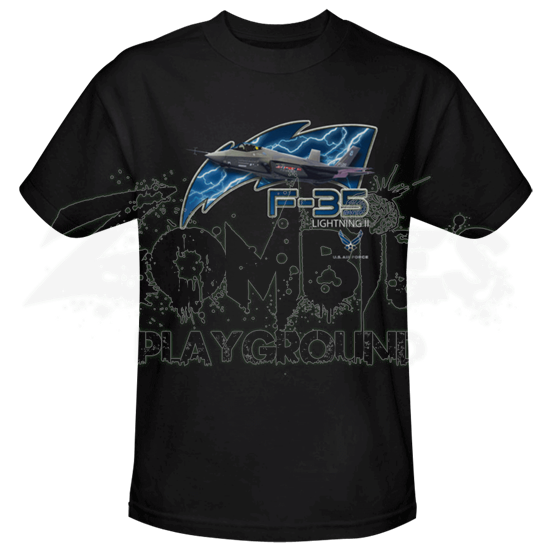 Let everyone get a sneak peek of this awesome aeronautical assault weapon with the stylish and comfortable F-35 USAF T-Shirt. With the Lightning II set in a Lightning bolt this shirt is a dazzling display of sheer dominance and technological prowess. Made from 100% high quality cotton, this t-shirt is great for everyday wear. 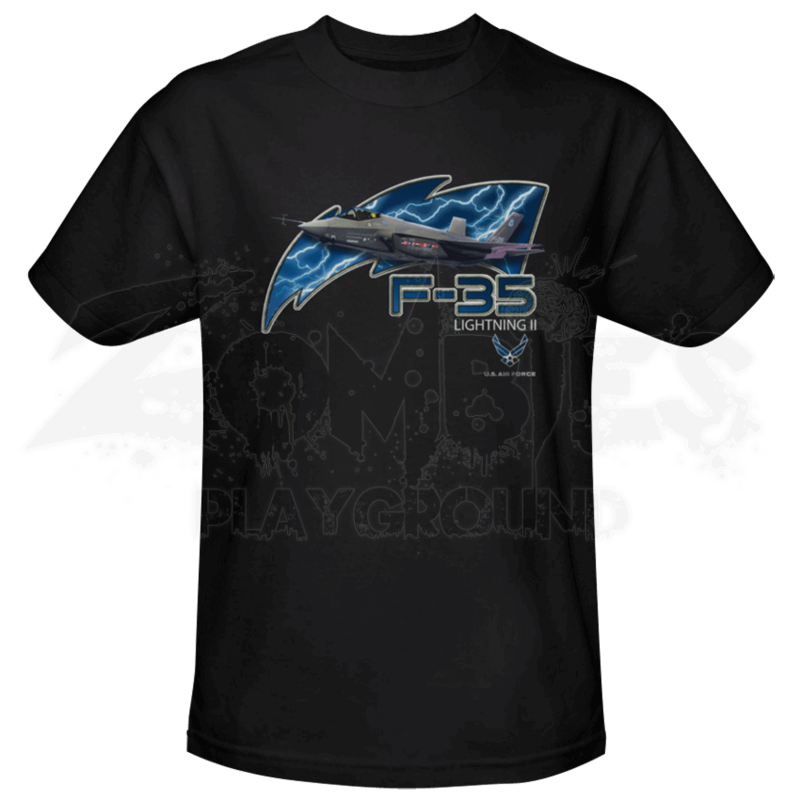 The F-35 USAF T-Shirt is sure to be a conversation starter by all those who see you proudly wearing it.